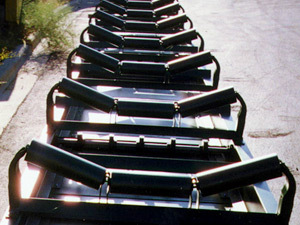 Typically used as transfer conveyors, Hustler’s Flat and Trough Idlers are designed for material containment and high speed applications in excess of 300 fpm. 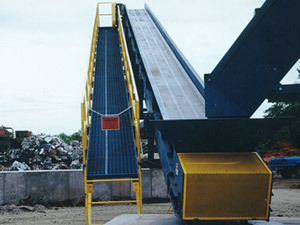 Our Idler style conveyors are designed in various lengths and widths. These Idler conveyors are designed with rubber lagged head pulleys and self cleaning wing style tail pulleys. The Flat Idlers have standard 12" high straight up sides. For ease of installation our conveyors are shipped completely assembled in the largest sections possible.